Everything you need to know about jewelry. We offer a variety of Jewelry for any occasion and of course 'just because.' We pride ourselves on providing signature styles for our customers. Whether you're looking for a custom design or want us to design the piece, we have the solution! The 4C's of Diamonds. We'll explains the Four C's- cut, color, clarity, and carat weight - the most important characteristics of buying a diamond. Learn about the unique properties of these gorgeous gems, and how to select your ideal gemstone. Learn more about the variety of metals we offer to find the one that is right for you. One of the most popular metal for engagement rings and wedding bands, platinum’s naturally white sheen will never fade or change color, and accentuates the sparkle and brilliance of a diamond. Gold is very strong, it's also the most malleable of all precious metals. Learn how to choose the perfect diamond within your budget, the ideal ring setting for your style, and the pros and cons. 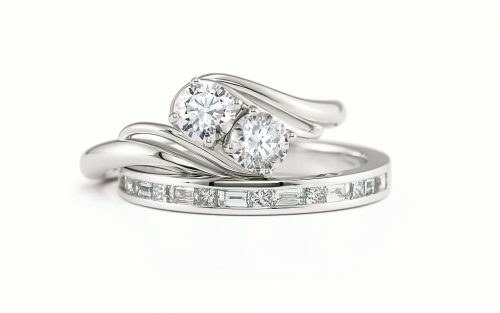 Your wedding rings should reflect your style and values. From tips on pairing wedding bands with engagement rings to unique engraving ideas, all the information you need to select your perfect wedding ring. Discover helpful hints to find the right ring size without anyone knowing, or order a complimentary ring sizer to determine your ring size at home. Learn basic care to help preserve and protect your jewelry for years to come. Learn how to find a diamond that has been ethically sourced without compromising quality.